Well done on finding SA Yorkie Rescue for assistance in finding a forever home for your Yorkie. Many people surrender their Yorkies to shelters with the hope of finding them the perfect home, only to find that they are not properly cared for as they had hoped and even end up neglected or euthanized. When you surrender your Yorkie to SA Yorkie Rescue you will have the peace of mind that your Yorkies will get the very best home with all the love in the world. We like to minimise any possible stress for your fur baby by limiting the number of times that they need to be transferred between lodgings, and completely avoid the kennel environment. 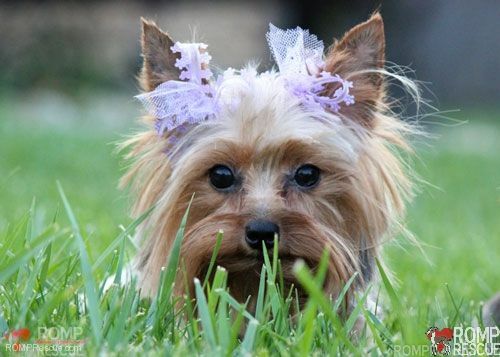 Depending on your particular situation and the situation of your Yorkie, when you surrender your Yorkshire Terrier we first try to re-home him to his forever home directly, if necessary we will use a caring temporary foster parent to look after the Yorkie within a family home until he is ready and we have found the perfect family to adopt your Yorkie. To surrender a Yorkie please complete the form so that we can help to find your Yorkshire Terrier the perfect home. We will contact you and discuss the entire procedure with you and make sure that it suits your and your dogs needs and circumstances. We have many pre-approved homes and we are constantly finding new amazing families wanting to adopt a Yorkie, We do thorough home checks and have a great deal of experience in finding the most suitable forever homes for our Yorkies.